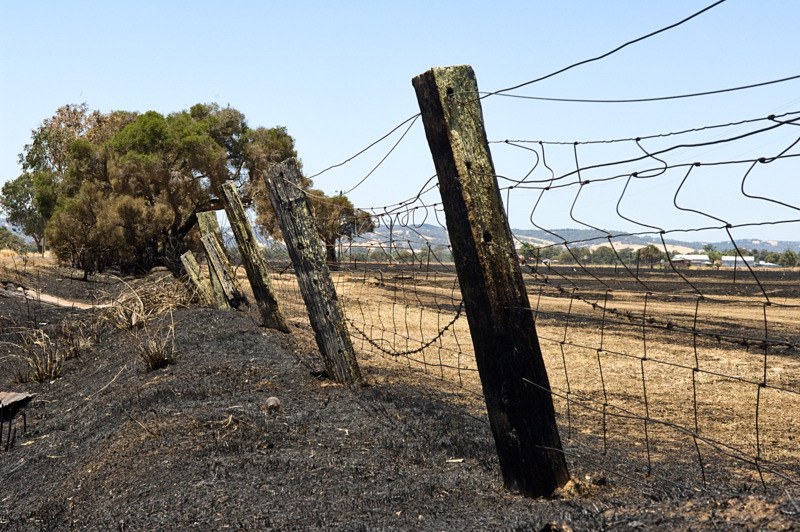 Fire, flood and drought can result in large numbers of dead farm animals which need to be disposed of safely. This webpage is designed to support farm managers to dispose of dead livestock in a way that manages the hazard to human and animal health, farm biosecurity and the environment. This information does not cover carcase disposal of diseased animals. off-farm disposal: may be suitable where the farm size or conditions do not favour on-farm disposal; contact you local government for advice. If burying livestock carcases on your farm, there is no limit to the weight or volume of carcases that can be buried. The burial must avoid any environmental emissions. Any smell (gases) will be minimised if pit construction guidelines (as below) are followed. Liquid leaking into the environment will be avoided by selecting a site with impermeable soils. should not be on a slope greater than 6% and allow digging of 5m deep pits with heavy equipment. It is advisable to record the GPS coordinates of the site for future land-use planning. Carcases are most conveniently and safely buried in a trench or long pit. To minimise safety risks use a pit with outwardly sloping (battered) sides to prevent collapse. There must also be enough cover to prevent carcases from surfacing. required depth of soil to cover carcases is 2m. A pit 3m wide at the base, 5m wide at the top of the carcases, and 5m deep, filled with carcases to within 2m of ground level (Figure 1) has an effective available volume of 12m3 for every linear metre. Using these dimensions, for each linear metre of trench, 8 cattle or 40 sheep can be buried. Composting is the natural aerobic decomposition of carcases. Details are given in Procedure: disposal of large animals by composting (New South Wales Department of Primary Industries). it promotes an environmentally responsible image. it may require final product testing to release compost.